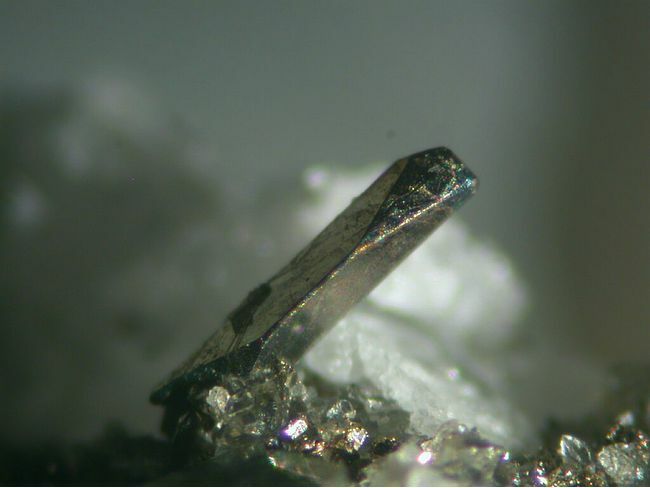 Sylvanite: Mineral information, data and localities. Named in 1835 by Louis Albert Necker-de Saussure for the Transylvania region of Romania, where it was first found, and Sylvanium, one of the names proposed for the newly discovered element tellurium, which it contains. Cream white to leather brown. Short prismatic, thick tabular, skeletal, bladed, columnar, granular. Quartz 114 photos of Sylvanite associated with Quartz on mindat.org. Gold 52 photos of Sylvanite associated with Gold on mindat.org. Coloradoite 43 photos of Sylvanite associated with Coloradoite on mindat.org. Hessite 39 photos of Sylvanite associated with Hessite on mindat.org. Fluorite 27 photos of Sylvanite associated with Fluorite on mindat.org. Calaverite 9 photos of Sylvanite associated with Calaverite on mindat.org. Petzite 9 photos of Sylvanite associated with Petzite on mindat.org. Laumontite 7 photos of Sylvanite associated with Laumontite on mindat.org. Tellurium 6 photos of Sylvanite associated with Tellurium on mindat.org. Apatite 6 photos of Sylvanite associated with Apatite on mindat.org. von Reichenstein (1785) Phys. Arb. Wien: 3: 48.
von Born (1790) 2: 467. Klaproth, M.H. (1802) Chemische Untersuchung der siebenbürgischen Golderze, B. Schrifterz, Beiträge zur chemischen Kenntniss der Mineralkörper, Dritter Band, Rottmann Berlin, 16-19. Palache, C. (1900) American Journal of Science: 10: 419. Spencer (1903) Mineralogical Magazine: 13: 271. Palache, Charles, Harry Berman & Clifford Frondel (1944) The System of Mineralogy of James Dwight Dana and Edward Salisbury Dana Yale University 1837-1892, Volume I: Elements, Sulfides, Sulfosalts, Oxides. John Wiley and Sons, Inc., New York. 7th edition, revised and enlarged: 338-341. American Mineralogist (1949) 34: 342. Tschermaks Mineralogische und Petrographische Mitteilungen (1984) 33: 203-212. The following Sylvanite specimens are currently listed for sale on minfind.com. Kovalenker, V. A., Zalibekyan, M. A., Laputina, I. P., Malov, V. S., Sandomirskaya, S. M., Garas' ko, M. I., & Mkhitaryan, D. I. (1990). Sulfide-telluride mineralization of the Megradzor ore field, Armenia. International Geology Review, 32(7), 705-720. Exploration and Mining Geology; July-October 2007; v. 16; no. 3-4; p. 125-143; Williams, P. J., Barton, M. D., Johnson, D. A., Fontboté, L., De Haller, A., Mark, G., ... & Marschik, R. (2005). Iron oxide copper-gold deposits: Geology, space-time distribution, and possible modes of origin. Economic Geology, 371-405. American Mineralogist (1966): 51: 29-36; Econ.Geol. : 83; 395-404; Bonev, I.K. ; Petrunov, R.; Cook, N. J.; Ciobanu, C. L. (2005): Kostovite and its argentian varieties: Deposits and mineral associations. Bulgarian Academy of Sciences, Geochemistry, Mineralogy and Petrology. 42, 1-22; Cook, N. J., Ciobanu, C. L., & Bogdanov, K. (2002) Trace mineralogy of the Upper Cretaceous banatitic Magmatic and metallogenetic Belt, SE Europe. In 11th Quadrennial IAGOD symposium–Geocongress 2002, Windhoek, Namibia, July 2002. CD Volume of extended abstracts. Georgiev, Georgi (2008) A genetic model of the Elatsite porphyry copper deposit, Bulgaria. GEOCHEMISTRY, MINERALOGY AND PETROLOGY • SOFIA 46, 143-160.; K. Bogdanov, A. Filipov, R. Kehayov (2005): Au-Ag-Te-Se minerals in the Elatsite porphyry-copper deposit, Bulgaria. Geochemistry, Mineralogy and Petrology, 43, 13-19. COLEMAN, L.C. (1953) Mineralogy of the Yellowknife Bay are, N.W.T. American Mineralogist 38, 506-527. Dana 7:I:340; Traill, R. J. (1980) Catalog of Canadian Minerals: Revised 1980. Geological Survey of Canada Paper 80-18. Sabina, A.P. (2003) Rocks & Minerals for the collector; Kirkland Lake - Rouyne-Noranda - Val d'Or, Ontario & Quebec. GSC Misc. Report 77, 150-151. Sabina, A.P. (2003): Rocks & Minerals for the collector; Kirkland Lake - Rouyn-Noranda - Val d'Or, Ontario & Quebec. GSC Misc. Report 77, Pg. 53. Legault, M., and Daigneault, R. (2006): Mineralium Deposita 41, 203-228. Gibbons, Jack. (2018) "Magmatic-hydrothermal evolution of the pampa escondida porphyry copper deposit northern, chile." PhD diss., The University of Arizona, 2018. Kuicheng Guo, Jun Lü, Huajuan Gu, Hua Song, and Derong Li (2010): Geology and Exploration 46(4), 616-621; Jun Lü, Xuguang Liu, Zhenzhe Han, Aikui Zhang, Handong Zhao, and Derong Li (2009): Geology and Exploration 45(4), 395-401; Hong Xu, Yuxing Yu, Shen Gao, Zhu Tian, Xiangke Wu, Lijun Yang, Qiushu Wang, and Yi Sun (2011): Geological Bulletin of China 30(11), 1779-1784; Siyu Han, Degao Zhai, Jiajun Liu, Jun Lü, Shenghua Wu, and Longbo Yang (2011): Mineral Deposits 30(5), 855-866; Xuxing Yu, Hong Xu, Xiangke Wu, Lijun Yang, Zhu Tian, Shen Gao, and Qiushu Wang (2012): Acta Petrologica Sinica 28(1), 345-356; Zhai, D., & Liu, J. (2014). Gold-telluride-sulfide association in the Sandaowanzi epithermal Au-Ag-Te deposit, NE China: implications for phase equilibrium and physicochemical conditions. Mineralogy and Petrology, 108(6), 853-871. Econ.Geol. : 83; 395-404; Econ Geol (1987) 82:345-370 Mineralogical Record 8:391; Naden, Jon; Henney, P.J.. 1995 Characterisation of gold from Fiji. Nottingham, UK, British Geological Survey, 58pp. (WC/95/041) (Unpublished) ; J.M. Boirat and J. Lum, Chron. Rech. Min., N° 486, 1987, pp 55-62, BRGM. Voudouris, P., Spry, P. G., Melfos, V., & Alfieris, D. (2007). Tellurides and bismuth sulfosalts in gold occurrences of Greece: mineralogy and genetic considerations. Geological Survey of Finland Guide, 53, 85-94. Panagiotis Christos Voudouris, Vasilios Melfos, Paul G. Spry, Robert Moritz, Constantinos Papavassiliou und George Falalakis (2011): Mineralogy and geochemical environment of formation of the Perama Hill high-sulfidation epithermal Au-Ag-Te-Se deposit, Petrota Graben, NE Greece. Mineralogy and Petrology 103, 79-100.; Voudouris, P., Papavassiliou, C., Alfieris, D., & Falalakis, G. (2007). Gold-silver tellurides and bismuth sulfosalts in the high-intermediate sulfidation Perama Hill deposit, western Thrace (NE Greece). Geol Survey Finland Guide, 53, 77-84. Voudouris, P.; Tarkian, M.; Arikas, K. (2006): Mineralogy of telluride-bearing epithermal ores in the Kassiteres-Sappes area, western Thrace, Greece. Mineralogy and Petrology 87, 31-52. Kieft, C. & Oen, I. S. (1973): Ore minerals in the telluride-​bearing gold-​silver ores of Salida, Indonesia, with special reference to the distribution of selenium. Mineralium Deposita 8, 312-320. Ruggieri, G., Lattanzi, P., Luxoro, S., Dessi, R., Benvenuti. M, & Tanelli, G., 1997. Geology, Mineralogy and Fluid Inclusion Data of the Furtei High Sulfidation Gold Deposit, Sardinia, Italy. Economic Geology, 92 (1), 1-19. Zemann, A., and Zemann, J. (1960): Contributions to Mineralogy and Petrology 7, 436-438.; Yosimura, T. (1939): Teineite, a new tellurate mineral from the Teine mine, Hokkaido, Japan. J. Fac. Sci. Hokkaido Univ. IV 4, 465. Dr. Kameki Kinoshita collection (curated at Geological Survey of Japan); Int Geol Congr (2008) Oslo. MRD-09; Kosei Komuro, Masataka Nakata (2017) (Au,Ag)Te2 minerals from epithermal gold deposits in Japan. Resource Geology, January 2017, Vol 67, #1, 22–34. P.M. Kartashov analytical data; Spiridonov, Ernst M. "New Data on Mineralogy of Deposits of Plutonogenic Gold-quartz Formation in the Northern Central Kazakhstan. Part I." Cho Cho Aye and Ye Myint Swe (2014): Mineralogical investigation of refractory gold ores of the Kawlin Wuntho area: Kyaukpahto and Kyaukpazat gold mines. GEOSEA XIII - GeoMyanmar 2014, 10-11 March 2014, Sedona Hotel, Yangon, Myanmar, Abstracts, 20-21. Brathwaite, R.L., Simpson, M.P., Faure, K., Skinner, D.N.B. (2001) Telescoped porphyry Cu-Mo-Au mineralisation, advanced argillic alteration and quartz-sulphide-gold-anhydrite veins in the Thames district, New Zealand. Mineralium deposita, 36;7, 623-640. ESPI, Joseph O., SPRY, Paul G., HAYASHI, Ken-ichiro, KOMURO, Kosei, and MURAKAMI, HiroyasuTHE BILIMOIA AU-BI-W-TE DEPOSIT, KAINANTU, PAPUA NEW GUINEA: GEOLOGY, MINERALOGY, AND CONDITIONS OF FORMATION 2006, Geological Society of America, Philadelphia Annual Meeting (22–25 October 2006) ; Espi, J. O., Hayashi, K. I., Komuro, K., Kajiwara, Y., & Murakami, H. (2005). The Bilimoia gold deposit, Kainantu, Papua New Guinea: A fault-controlled, lode-type, synorogenic tellurium-rich quartz-gold vein system. In Mineral Deposit Research: Meeting the Global Challenge (pp. 941-944). Springer Berlin Heidelberg. Econ.Geol. : 83; 395-404; Callow, K. J., & Worley, J. (1965). The occurrence of telluride minerals at the Acupan gold mine, Mountain Province, Philippines. Economic Geology, 60(2), 251-268. Tamas, C. G.; Bailly, L.; Ghergari, L.; O'Connor, G.; Minut, A. 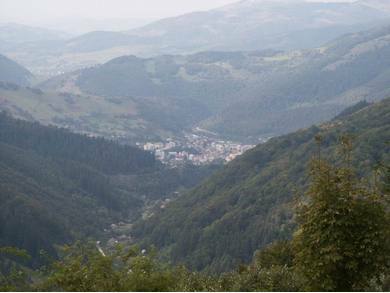 (2006): New occurrences of tellurides and argyrodite in Rosia Montana, Apuseni mountains, Romania, and their metallogenic significance. Canadian Mineralogist 44, 367-383. Tămaş, C. G., Grobety, B., Bailly, L., Bernhardt, H. J., & Minuţ, A. (2014). Alburnite, Ag8GeTe2S4, a new mineral species from the Roşia Montana Au-Ag epithermal deposit, Apuseni Mountains, Romania. American Mineralogist, 99(1), 57-64. Econ.Geol. : 83; 395-404; Singer, D.A., Berger, V.I., and Moring, B.C. (2008): US Geological Survey Open-File Report 2008-1155.; Săbău, G., Berbeleac, I., & Negulescu, E. (2013) The Coloradoite Occurrence of the Musariu (Metaliferi Mountains) Tellurium and Telluride Vein Mineralization and Its Position in the Depositional Sequence. Rev. Roum. Géologie, Tome 57, nos 1–2, p. 57–65, Bucureşti; Săbău, G., Berbeleac, I., Negulescu, E., & Costin, G. (2014). Uncommon telluride compositions from Musariu, Apuseni Mts., Romania. In 21st General IMA Meeting, abstract (Vol. 330). ; Ciobanu, C., Cook, N., Mavrogenes, J., Damian, G., & Damian, F. (2007). (Au)-Pb-Te melts: Annealing-quenching experiments on samples from the Musariu deposit Brad district Romania. Econ.Geol. : 83; 395-404; Wagner F E, Sawicki J A, Friedl J, Mandarino J A, Harris D C, Cabri L J (1994) 197Au Mössbauer study of the gold–silver ditellurides sylvanite, krennerite and calaverite, The Canadian Mineralogist 32, 189-201 ; Cook, N. J., Ciobanu, C. L., Capraru, N., Damian, G., & Cristea, P. (2005). Mineral assemblages from the vein salband at Sacarimb, Golden Quadrilateral, Romania: II. Tellurides. Geokhimiia, Mineralogiia i Petrologiia, 43, 56-63. G. Cioflica, R. Jude, M. Lupulescu, G. Simon, G. Damian (1993) The tellurides of the Romanian Neogene ore deposits - "Current Research in Geology Applied to Ore Deposits" Eds: Fenoll Hach-Ali, Torres-Ruiz & Gervilla, Granada, Spain, pp 73-76.; Simon, G., Alderton, D. H. M., Stumpfl, E. F., & Bleser, T. (1995). 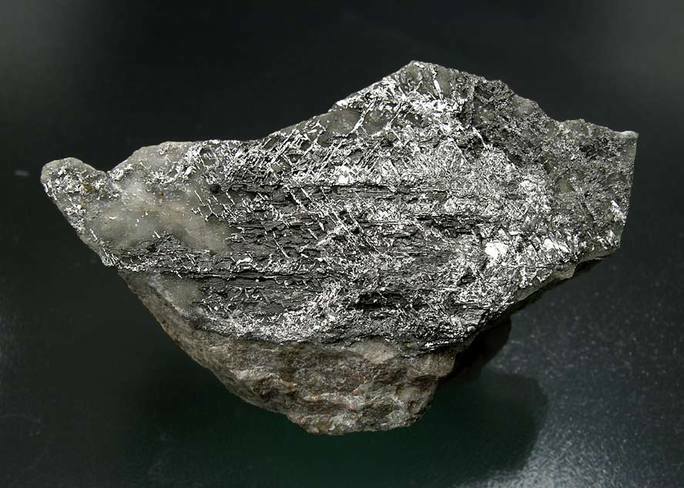 Tellurantimony in Romania: first occurrences in Europe. Mineralogy and Petrology, 53(1-3), 115-124. Vikentyev, I. V., & Vikentyeva, O. V. (2015). Precious metal minerals and “invisible” gold in sulfide ores of Urals. In Mater. of ХII Int. Sci. Conf.“Advanced Technologies, Equipment and Analytical Systems for Materials and Nano-Materials (Vol. 3, pp. 33-41). Vikent’eva, O. V., & Bortnikov, N. S. The Large Svetlinsk Au-Te Deposit, South Urals: Telluride Mineralization for Genetic Reconstructions. MINERAL RESOURCES IN A SUSTAINABLE WORLD • 13th SGA Biennial Meeting 2015. Proceedings, Volume 2 pp851-854; Vikent'eva, O., & Vikentev, I. (2016, April). Occurrence modes of As, Sb, Te, Bi, Ag in sulfide assemblages of gold deposits of the Urals. In IOP Conference Series: Materials Science and Engineering (Vol. 123, No. 1, p. 012028). IOP Publishing. Lehmann, B., Heinhorst, J., Hein, U., Neumann, M., Weisser, J.D., and Fedesejev, V. (1999): Mineralium Deposita 34, 241-249.; Bonev, I. K., Petrunov, R., Cook, N. J., & Ciobanu, C. L. (2005). Kostovite and its argentian varieties: Deposits and mineral associations. Geochem. Mineral. Petrol.(Bulg. Acad. Sci. ), 42, 1-22.; Spiridonov, A. M., Kulikova, Z. I., Zorina, L. D., Granina, E. M., Parshin, A. V., & Budyak, A. E. Material Composition of Ores and Metasomatically Altered Rocks at Bereznyakovskoe Epithermal Gold Ore Deposit (the South Urals). Vikentyev I.V. e.a. (2004) Gold and PGE in massive sulfide ore of the Uzelginsk deposit, Southern Urals, Russia, - Canadian Mineralogist, v.42, p.2, pp.651-665. ; Vinokurov, S. F., Vikent’ev, I. V., & Sychkova, V. A. (2010). Determining ionic gold species in massive sulfide ores. Geochemistry International, 48(5), 510-516. B. B. Damdinov, S. M. Zhmodik, P. A. Roshchektaev, L. B. Damdinova (2016): Composition and genesis of the Konevinsky gold deposit, Eastern Sayan, Russia. Geology of Ore Deposits 58, 134-148. V.A. Kovalenker, O.Yu. Plotinskaya (2005): Te and Se mineralogy of Ozernovskoe and Prasolovskoe epithermal gold deposits, Kuril – Kamchatka volcanic belt. Geochemistry, Mineralogy and Petrology 43, 118-123. [http://www.geology.bas.bg/mineralogy/gmp_files/gmp43/Kovalenker.pdf]; Spiridonov, E. M., Filimonov, S. V., & Bryzgalov, I. A. (2009, April). 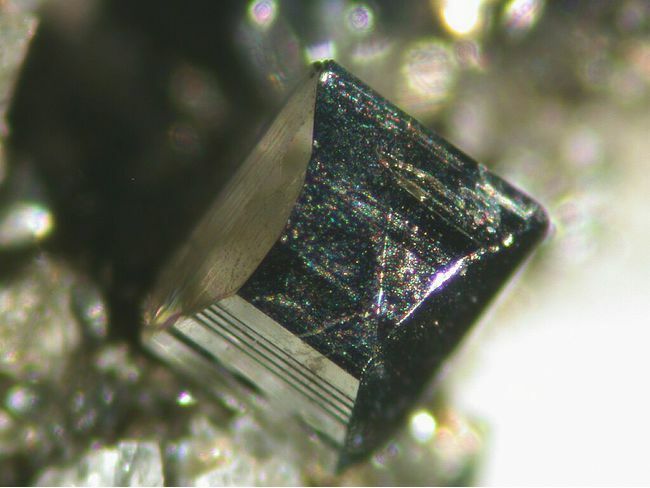 Solid solution fisnhesserite-naumannite (Ag, Au) 2 Se in ores of the volcanogenic gold deposit Ozernovskoye, Kamchatka. In Doklady Earth Sciences (Vol. 425, No. 2, pp. 415-418). SP MAIK Nauka/Interperiodica. Компанченко А.А., Волошин А.В., Базай А.В. Ванадиевая минерализация в колчеданных проявлениях - новый тип для Южно-Печенгской структурной зоны, Кольский регион, - Месторождения стратегических металлов: закономерности размещения, источники вещества, условия и механизмы образования. Всероссийская конференция, посвящённая 85-летию ИГЕМ РАН.Москва, 25-27 ноября 2015 г. Материалы докладов. М.: ИГЕМ РАН, 2015. 336 с.
Stefan Weiss (2010) Lapis, 35, #12, 10.; Kemkina, R. A. (2007). Fahlores of the Prasolovka Au-Ag volcanogenic deposit, Kunashir Island, Russian Far East. Russian Journal of Pacific Geology, 1(2), 130-143. Lehmann, B., Heinhorst, J., Hein, U., Neumann, M., Weisser, J. D., & Fedesejev, V. (1999). The Bereznjakovskoje gold trend, southern Urals, Russia. Mineralium Deposita, 34(3), 241-249. Cook, R.B. (2005) Rocks & Minerals. Cook, N. J.,Ciobanu, C.L.& Danushevskiy, L, (2007): LA-ICP-MS determination of gold in Bi-chalcogenides from four deposits in the Fennoscandian Shield. Geological Survey of Finland, Guide 53, 23-30; Oen, I. S. & Kieft, C. (1984): Paragenetic relations of Bi-, Ag-, Au-, and other tellurides in bornite veins at Glava, Värmland, Sweden. Neues Jahrbuch für Mineralogie, Abhandlungen 149, 245-266.; Scherbina, A. S. (1941): The gold-rich chalcocite-bornite deposit of Glava in Vermland, Sweden, and its geological setting. Neues Jahrb. Mineral., Geol., Beilage-Band, 76A, 377-458.; Bonev, I. K., Petrunov, R., Cook, N. J., & Ciobanu, C. L. (2005). Kostovite and its argentian varieties: Deposits and mineral associations. Geochem. Mineral. Petrol.(Bulg. Acad. Sci. ), 42, 1-22. Anthony, Bideaux, Bladh, Nichols: "Handbook of Mineralogy", Vol. 1, 1990; Pekov, I. (1998) Minerals First discovered on the territory of the former Soviet Union 369p. Ocean Pictures, Moscow; Dmitriy I. Belakovskiy (2003): New Data on Minerals: 38: 101-112.; Rustam Koneev, Evgeniy Ignatikov, Arpay Turesebekov, Umid Aripov, Rustam Khalmatov, Obidjon Kodirov, Miraziz Usmanov (2005) Gold ore deposits of Uzbekistan: Geochemistry and nanomineralogy of tellurium and selenium. IGCP Project 486, 2005 Field Workshop, Kiten, Bulgaria, 14-19 September 2005; GEOCHMISTRY, MINERALOGY AND PETROLOGY • 4 3 • SOFIA pp 69-74; Evseev, A. A. (1995) Kazaknstan and Middle Asia. A brief Mineralogical Guide. World of Stone 8:24-30; Bonev, I. K., Petrunov, R., Cook, N. J., & Ciobanu, C. L. (2005). Kostovite and its argentian varieties: Deposits and mineral associations. Geochem. Mineral. Petrol.(Bulg. Acad. Sci. ), 42, 1-22.; Plotinskaya, O. Y., Kovalenker, V. A., Seltmann, R., & Stanley, C. J. (2006). Te and Se mineralogy of the high-sulfidation Kochbulak and Kairagach epithermal gold telluride deposits (Kurama Ridge, Middle Tien Shan, Uzbekistan). Mineralogy and Petrology, 87(3-4), 187-207.; Kovalenker, V. A., Safonov, Y. G., Naumov, V. B., & Rusinov, V. L. (1997). The Epithermal Gold-Telluride Kochbulak Deposit. Geology of Ore Deposits C/C of Geologiia Rudnykh Mestorozhdenii, 39, 107-128.
ⓘ Gwynfynydd Mine (Gwyn Mine; Morgan Mine; Mount Morgan Mine; British Gold Fields) ? The National Museum of Wales database "The Minerology of Wales"
Anthony, J.W., et al (1995), Mineralogy of Arizona, 3rd.ed. : 248, 387; Criddle, A.J., et al (1983), Henryite, a new copper-silver telluride from Bisbee, AZ, Bull. Min. : 106: 511-517.; Bonev, I. K., Petrunov, R., Cook, N. J., & Ciobanu, C. L. (2005). Kostovite and its argentian varieties: Deposits and mineral associations. Geochem. Mineral. Petrol.(Bulg. Acad. Sci. ), 42, 1-22.
ⓘ True Blue Mine (True Blue Mine group; Golden Orbit Mine; Ballif Mine) ? Keith, Stanton B. (1978) State of Arizona Bureau of Geology and Mineral Technology, Geol. Sur. Br. Bull. 192, Index of Mining Properties in Yuma Co., Arizona: 149 (Table 4); Arizona Bureau of Mines file data. Silliman, Benjamin, Jr. (1868a), Note on three new localities of tellurium minerals in California and on some mineralogical features of the mother vein: California Academy of Natural Sciences Proceedings: 3: 378-379; Browne, J.R. (1869), Report of J. Ross Browne on the mineral resources of the states and territories west of the Rocky Mountains (US Treasury Dept. ), 674 pp., H.H. Bancroft and Co., San Francisco [reprint of 2]: 62; Hanks, Henry Garber (1884), Fourth report of the State Mineralogist: California Mining Bureau. Report 4, 410 pp. : 384, 388; Murdoch, Joseph & Robert W. Webb (1966), Minerals of California, Centennial Volume (1866-1966): California Division Mines & Geology Bulletin 189: 357; Mineralogical Record (1989) 20: 129-142. Genth, Frederick Augustus (1868); Contributions to mineralogy, No. 7: American Journal of Science, 2nd. series: 45: 314; Silliman, Benjamin, Jr. (1868a), Note on three new localities of tellurium minerals in California and on some mineralogical features of the mother vein: California Academy of Natural Sciences Proceedings: 3: 378; Browne, J.R. (1869), Report of J. Ross Browne on the mineral resources of the states and territories west of the Rocky Mountains (US Treasury Dept. ), 674 pp., H.H. Bancroft and Co., San Francisco [reprint of 2]: 62; Hanks, Henry Garber (1884), Fourth report of the State Mineralogist: California Mining Bureau. Report 4, 410 pp. : 309, 384, 388; Murdoch, Joseph & Robert W. Webb (1966), Minerals of California, Centennial Volume (1866-1966): California Division Mines & Geology Bulletin 189: 116, 286, 357. Genth F A (1868) Contributions to mineralogy - No. VII, The American Journal of Science and Arts, 95, 314; Silliman, Benjamin, Jr. (1868a), Note on three new localities of tellurium minerals in California and on some mineralogical features of the mother vein: California Academy of Natural Sciences Proceedings: 3: 378; Browne, J.R. (1869), Report of J. Ross Browne on the mineral resources of the states and territories west of the Rocky Mountains (US Treasury Department), 674 pp., H.H. Bancroft and Co., San Francisco [reprint of 2]: 62; Pemberton, H. Earl (1983), Minerals of California; Van Nostrand Reinholt Press: 109. Mining and Scientific Press (1913), General mining news: Mining and Scientific Press: 107: 473; Averill, Charles V. (1931), Preliminary report on economic geology of the Shasta quadrangle: California Journal of Mines and Geology, California Division Mines Report 27: 39; O’Brien, J.C. (1965) Mines and mineral resources of Trinity County, California. Caifornia Division of Mines and Geology County Report 4: 125 pp. : 69; Pemberton, H. Earl (1983), Minerals of California; Van Nostrand Reinholt Press: 110. Stines, Norman S. (1907), The geology of the Coffee Creek mining district, California: Mining and Scientific Press: 95: 25-26; Murdoch, Joseph & Robert W. Webb (1966), Minerals of California, Centennial Volume (1866-1966): California Division Mines & Geology Bulletin 189: 357; Pemberton, H. Earl (1983), Minerals of California; Van Nostrand Reinholt Press: 110. Mining and Scientific Press (1913), General mining news: Mining and Scientific Press: 107: 473; O’Brien, J.C. (1965) Mines and mineral resources of Trinity County, California. Caifornia Division of Mines and Geology County Report 4: 125 pp. : 69; Pemberton, H. Earl (1983), Minerals of California; Van Nostrand Reinholt Press: 110. Murdoch, Joseph & Robert W. Webb (1966), Minerals of California, Centennial Volume (1866-1966): California Division Mines & Geology Bulletin 189: 357. Tucker, W. Burling (1914), Tuolumne County: California Mines Bureau Report 14: 163; Logan, Clarence August (1949), Mines and mineral resources of Tuolumne County, California: California Journal of Mines and Geology: 45: 72; Murdoch, Joseph & Robert W. Webb (1966), Minerals of California, Centennial Volume (1866-1966): California Division Mines & Geology Bulletin 189: 287, 357; Pemberton, H. Earl (1983), Minerals of California; Van Nostrand Reinholt Press: 109, 110. Silliman, Benjamin, Jr. (1868a), Note on three new localities of tellurium minerals in California and on some mineralogical features of the mother vein: California Academy of Natural Sciences Proceedings: 3: 378; Murdoch, Joseph & Robert W. Webb (1966), Minerals of California, Centennial Volume (1866-1966): California Division Mines & Geology Bulletin 189: 357. Waring, Clarence A. (1919), Butte, Placer, Sacramento, Yuba Counties: California Bureau of Mines Report 15: 453; Murdoch, Joseph & Robert W. Webb (1966), Minerals of California, Centennial Volume (1866-1966): California Division Mines & Geology Bulletin 189: 357; Pemberton, H. Earl (1983), Minerals of California; Van Nostrand Reinholt Press: 110. Minerals of Colorado (1997) E.B. Eckel; William Crowley Kelly, Edwin Newell Goddard (1969) Telluride Ores of Boulder County, Colorado. GSA Memoir 109.
ⓘ Schwartzwalder Mine (Ralston Creek Mine) ? ⓘ Hazel Mine Group ? R & K Metals and Mining - Bob Ross - Part owner of the Bessie G; Saunders, J. A. (1986). Petrology, mineralogy, and geochemistry of representative gold telluride ores from Colorado (Doctoral dissertation, Colorado School of Mines). Linda Semenyna P.Geo. (2014) at FLSmidth. Mineral Identification and Analysis MP-1 thru MP-12. Pg. 2, 13. Labeled specimen from Dr. Wilke (Germany). Brent Thorne specimen. ⓘ Gold Day Occurrence ? USGS Prof Paper 610 "Gold Producing Districts of the United States"
Min.Rec.:21:103. ; U.S. Geological Survey, 2005, Mineral Resources Data System: U.S. Geological Survey, Reston, Virginia. www.deq.state.mt.us/AbandonedMines/linkdocs/techdocs/66tech.asp; U.S. Geological Survey, 2005, Mineral Resources Data System: U.S. Geological Survey, Reston, Virginia. ⓘ Winnetka Mine (Winnetaka Mine) ? USGS Prof Paper 610 "Principal Gold Producing Districts of the United States"
ⓘ National Refuge borehole (NR1) ? ora K. Foley, Robert A. Ayuso, Joseph D. Ayotte, Denise L. Montgomery, and Gilpin R. Robinson, Jr. (2006): Geological Assessment of Cores from the Great Bay National Wildlife Refuge, New Hampshire (USGS Scientific Investigations Report 2006-5203). Oregon Metal Mines Handbook, 1952, Oregon Department of Geology and Mineral Industries: Bulletin No. 14-C, Vol. 2, Section 1 - Josephine Co., 2nd Edition, page 82.
ⓘ Hale's Mine (Haile Gold Mine) ? Back,J.M and Clark,S.H.B.,1993,Prelominary results of petographic studies of the Barite Hill gold deposit in southern Carolina slate belt,South Carolina:South Carolina,v.35 pg.67-68; Seal II, R.R., Ayuso, R.A., Foley, N.K., and Clark, S.H.B. (2001): Mineralium Deposita 36, 137-148. Rocks & Min. : 60: 111. Econ.Geol. : 83; 395-404; Bonev, I. K., Petrunov, R., Cook, N. J., & Ciobanu, C. L. (2005). Kostovite and its argentian varieties: Deposits and mineral associations. Geochem. Mineral. Petrol.(Bulg. Acad. Sci. ), 42, 1-22.